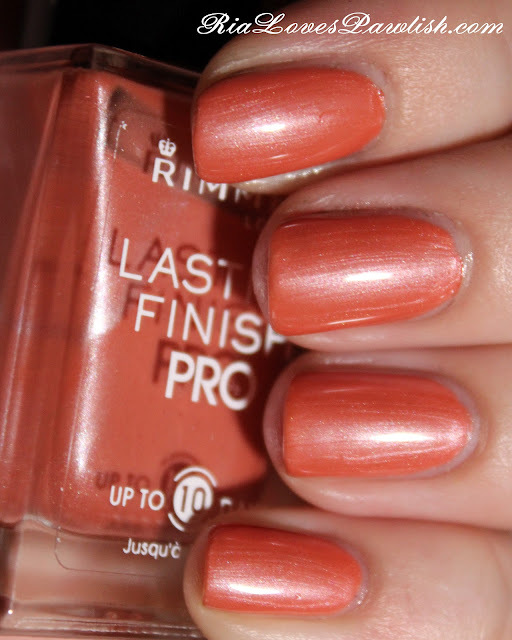 today's polish is Rimmel Lasting Finish Pro Spice Romance. it's warm orange toned rose color with a pearl finish... it has a slight white shimmer reflex, which makes it special! you can see a couple brushstrokes, but they aren't very noticeable. this color is a little dated, but the shimmer helps it not to look too old fashioned. i used two coats which gave almost full coverage... if you closely examine the nail you can see a slight differentiation between the tips and the nail beds... but not enough to even bother picky me! one coat Orly Nailtrition, two coats Spice Romance, one coat Seche Vite.